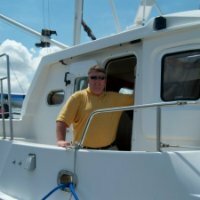 Sell your Boat / Yacht Through SouthCoast Yacht Brokers Inc.
SouthCoast Yacht Brokers Is your Premiere Dealer of Quality Pre-Owned DOWNEAST, Powerboats, Trawlers with a large selection of Sportfishing, Cruising, and Quality Sailboats. We Welcome your Inspections and Surveyors on all of our vessels. Florida Licenced. LIKE US ON FACEBOOK under SOUTHCOAST YACHT BROKERS. Here is a partial list of the makes we have brokered recently: Nordhavn, Sea Ray Oyster, Viking, Cabo, Mainship Trawler, Selene, Eastbay, Grand Banks, Kadey Krogen,Contender, Tiara, Maxum, Ocean Yachts, Grady White, Boston Whaler, Hatteras, Luhrs and Albin just to name a few. We are experienced Yacht Brokers who can not only Sell your boat, but find you the best deal on a new boat. WE ARE DEALMAKERS, NOT LISTING TAKERS ! Call us to LIST your TRAWLER, SPORTFISH OR SAILING YACHT today. Use our Combined 75 YEARS of BOATING & MARKETING EXPERIENCE to your advantage for your best deal. This will be the next 2018 345 Conquest sold. Unsinkable Legend, Deep Vee, Famous Whaler Ride, Upgraded Trip Verado 350's, Fusion White covers, Joystick Piloting System, Skyhook, Autopilot. Mercury Vessel View, (3) Stainless Mercury Enertia Eco 16x17 Props, Kohler Low CO2 Genset 7.5kW in Soundbox, Flat Panel TV/DVD. FLIR Nightvision system, Raymarine GS165 Large Color Plotter/GPS/CHIRP Sounder/4kW Radar/AIS, Fusion Satellite Stereo w/3 Remotes, Underwater LED Lighting (4), Aft Sun Shade Option, Cockpit Grill, Self-Leveling Tabs, Outriggers, Transom fold seating and trolling side seat, Dual Air/Heat for Cabin and Pilothouse. Cushion and Bow cover package. Bottom Barrier coated. Sleeps 5-6, 2 Fridges, Large Enclosed head w/Hot Shower. MSRP, $618,000 New, Best 2018 Priced in US, will not last long, Call Today ! Joystick and Berth Updates done. Owner has found his next boat.